Identification: Large and stout-bodied. 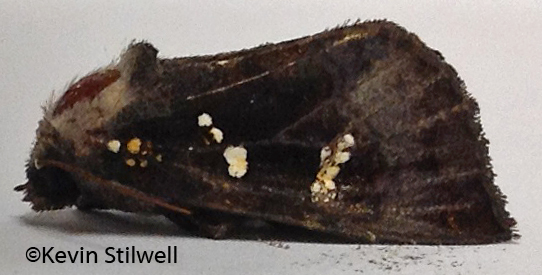 Forewing violet with dark rust patches in lower median area and near apex. Basal, orbicular, claviform, and reniform spots represented by groups of white spots; note small white spot on costa above reniform spot. 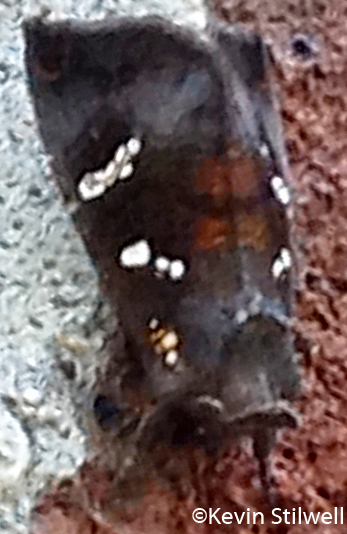 Hindwing dark grayish brown. Range: Massachusetts to Virginia, west to Iowa and Mississippi.